Easy steps for canning green beans at home. How to pressure-can green beans either by hot pack or raw pack. 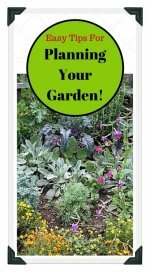 Also includes recipes for home-canning Pickled Green Beans, and Dilly Beans. 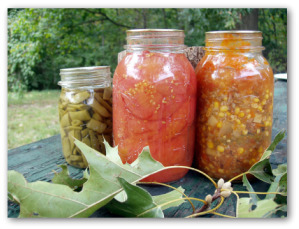 When pressure canning beans, varieties especially good for home canning include Blue Lake, Brittle Wax, Kinghorn Wax, Tenderette, and Tenderpod. 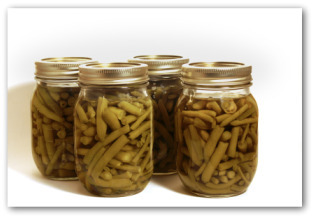 Green beans may be canned by raw pack, or hot pack pressure-canning methods. Wash green beans, remove ends. Cut or break into 1 inch pieces. Pack tightly into canning jars. Add ½ teaspoon salt to pints. Add 1 teaspoon salt to quarts. Leave 1 ½ inch headspace. Process in pressure canner at 10 pounds pressure. Place in boiling water and boil for 5 minutes. Pack loosely in canning jars. Add ½ teaspoon salt to pints. 1 teaspoon salt to quarts. Cover with cooking water to ½ inch of top. Serve these pickled green beans with a surprising bite in your favorite salad or as a side item for pork. The following canning recipe yields 5 pints. 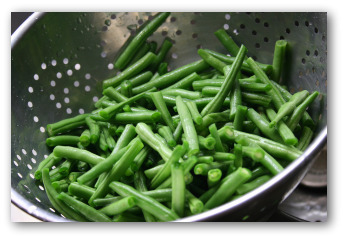 Cut the green beans to a uniform size pieces, about 2 ½ inches long. 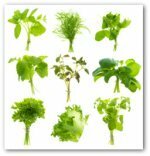 The length is generally a matter of your family's preference. Cook the green beans in boiling salted water around 6 minutes, until tender. In a large saucepan, heat the oil and sauté the garlic and onion until soft. Add the water, sugar, celery salt, vinegar, salt, and pepper in with the onion and garlic. Add the green beans to the mixture and boil for 2 minutes. Spoon the beans into clean, hot canning jars. Leave ½ inch headroom for expansion. Seal and complete canning by processing for 15 minutes in a boiling water canner. The following recipe for canning green beans makes 6 pints. Remove ends and pack whole beans lengthwise into canning jars to 1.4 inch of top. Add ½ teaspoon dill seed and 3 peppercorns to each jar. Combine salt, vinegar, and water. Pour over the beans, covering them. Process in boiling water bath for 20 minutes. Water boils at 212 degrees at sea level. As altitude increases, water boils at lower temperatures, which is less effective at killing bacteria. Determine your local altitude and adjust the processing time given in canning green beans recipes. Even though the water is rapidly boiling away in your canner at higher altitudes, because of reduced atmospheric pressure it is boiling at a lower temperature. 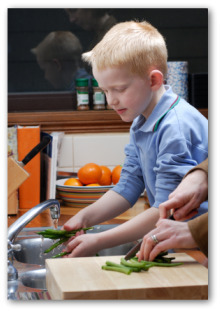 All home-canned green beans should be boiled for 10 minutes on the stove top before eating. This is to kill any deadly botulism spores that may be present in the canned green beans. When stating processing time for boiling water bath canning, all recipes assume an altitude of less than 1,000 feet. If you live higher than 1,000 feet, adjust your processing time as shown below. For an altitude of 2,000, add 2 minutes for processing times of 20 minutes or less. Add 4 minutes for processing recipes more than 20 minutes. At an altitude of 3,000 feet, add 3 minutes for processing times of 20 minutes or less. Add 6 minutes for processing recipes of more than 20 minutes. At an altitude of 4,000 or 5,000 feet, you may want to consider using a pressure canner, when canning green beans to avoid overcooking your food.